Plexaderm Blog - Who’s to Blame for Dark Under-Eye Circles? Who’s to Blame for Dark Under-Eye Circles? Many of our genetic traits and personal attributes are inherited from our parents. Some are great and are our favorite and best features, and there are some that are definitely questionable. A thick head of hair and bright eyes are without a doubt a couple of traits for you and your parents to brag about. What about those dark under-eye circles staring back at you each day? Some dark under-eye circles are linked to lack of sleep. Maybe, you’re a new parent and have been up all night caring for your newborn. Or, maybe you have been to one too many late night parties. Then there are those of us who have dark under-eye circles no matter what. They are there daily, and most likely come from Mom or Dad. Who should you blame? Blame your mother! Mitochondria, the powerhouse of cells have their own DNA and are linked to the aging process. And, who are they inherited from? Your mother. This news bulletin is in no way a green light for fathers to gather and rejoice. Heredity is just one of many contributors to lines, wrinkles under eye bags and dark under-eye circles. Some of the other major contributors include food choices, dehydration, lack of sleep and allergies. The good news is if your mom has great skin then you can too. 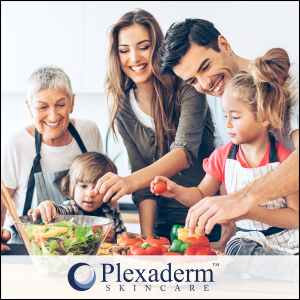 However, if Mom appears a bit older than her age then make sure you get started on that healthy lifestyle including protecting your skin. Drink plenty of water to maintain proper hydration and stick to a healthier diet. Stay hydrated and moisturize your skin. 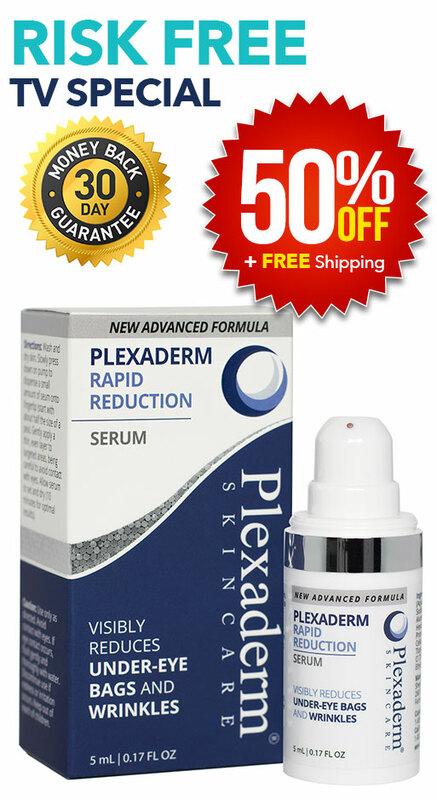 Use Plexaderm as your new go to quick fix to visibly reduce dark under-eye circles, under-eye bags, lines and wrinkles in minutes.